10% Off for Houzz Users! Call Now!! His Life Woodworks was established in 1978 by John Johnson. John, who was introduced to woodworking by his father and grandfather, started the company in an 800 square foot woodshed in Torrance. Since that time, it has evolved around a vision of excellence and has expanded to include an entire showroom dedicated to design and service and a 28,000 square-foot custom manufacturing facility right here in the South Bay. Over the years, His Life Woodworks has been built on customer satisfaction and word-of-mouth. In fact, it is quite common for the children or grandchildren of customers from 20 years ago to come in for a project of their own. 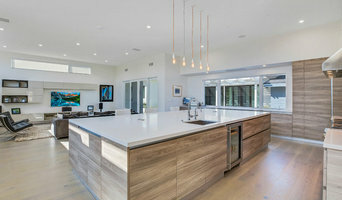 With expert designers dedicated to customer service, it is no wonder the people of the South Bay continue to let His Life Woodworks build their dreams. Our mission for the past quarter century has been the same, to engage our customers in the design process and stimulate their creativity so that each piece we create is uniquely them. Board & Block is an LA South Bay based design studio and workshop specializing in solid end grain butcher block, contemporary custom cabinetry, and handcrafted case goods.. Quality construction and craftsmanship are the foundation of our design ethos, and we strive to produce subtle, thoughtfully designed pieces that will serve you and your loved ones for years to come. Custom kitchen and bathroom cabinet manufacturer. We build Modern Woodwork Pieces that have the craftsmanship of old and modern amenities that make your home a place of beauty and convenience. Kwasny Cabinet Makers, is a full design and custom cabinetry manufacturing facility working in the South Bay area for over 30 years. We are licensed and Bonded and our products include kitchen cabinets, vanities, entertainment/media centers, and office furniture. Emphasis is placed on preparing functional and unique designs and building high quality, custom cabinetry for you, our client. We hope this site will help to guide you through the remodeling process and also assist you in selecting door styles, cabinet accessories, storage aids and hardware. 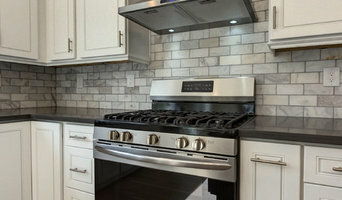 In addition, Hermosa Beach, CA cabinetry pros can help you give worn or dated cabinets a makeover. They can replace doors; add glass inserts, decorative moldings and other details; or give cabinetry a new coat of paint or specialty finish. Your cabinetry professional might work closely with a California kitchen designer, builder, remodeling contractor or interior designer. Here are some related professionals and vendors to complement the work of cabinets & cabinetry: Kitchen & Bath Designers, Kitchen & Bath Remodelers, Interior Designers & Decorators, Closet Designers and Professional Organizers, Woodworkers & Carpenters. Find a cabinetry professional on Houzz. 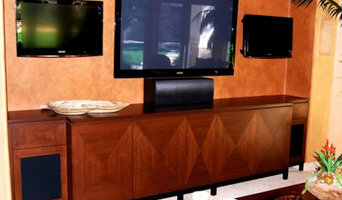 Narrow your search in the Professionals section of the website to Hermosa Beach, CA cabinets and cabinetry. 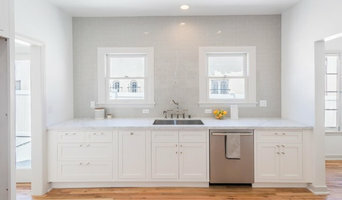 You may also look through California photos to find examples of cabinets that you like, then contact the cabinetry professional who worked on them.